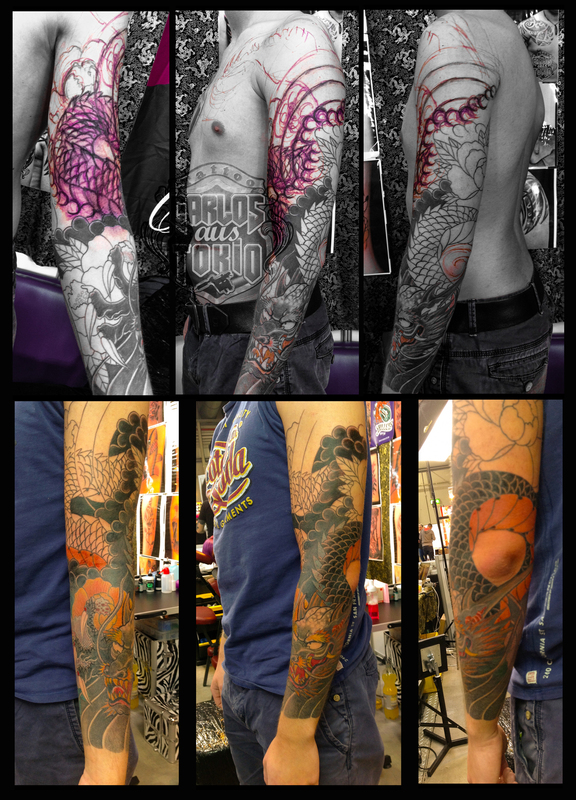 Few weeks passed since Tattoo Bash Köln (held last month’s 25th to 27th) and I got myself back to write some for you. I had a very fruitful experience in April attending 3 conventions in a roll (Stuttgart, Frankfurt and Köln) and many tattooer fellas might agree that there’s too many conventions nowadays. They can’t be wrong. Definitely we can find all types and sizes of tattoo conventions on the most remote parts of the planet. In other words, we (tattooers and customers) have the chance to hand pick which conventions, cities/ countries we might visit in the future. In other hand we face odd situations like tattooing in noisy, dark, hot, cold locations and other “natural obstacles” we find being far from our common habitat. As far for me, the experience of going through all this makes me grow positively stronger. And I wouldn’t trade it for anything else. Specially right now that I’m driving by my own to these places to discover, meet and interact with different people and different cultures. All under one roof.